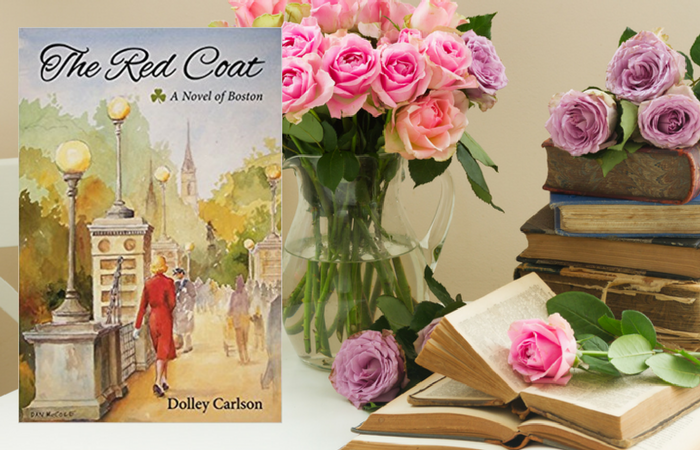 Irish domestic worker Norah King’s decision to ask her wealthy employer, Caroline Parker, for an elegant red coat that the Beacon Hill matriarch has marked for donation ignites a series of events that neither woman could have fathomed. The unlikely exchange will impact their respective daughters and families for generations to come, from the coat’s original owner, marriage-minded collegian Cordelia Parker, to the determined and spirited King sisters of South Boston, Rosemary, Kay, and Rita. 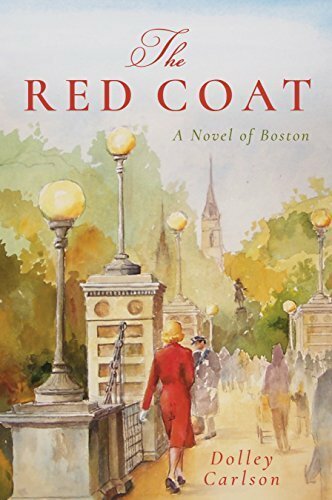 As all of these young women experience the realities of life – love and loss, conflict and joy, class prejudices and unexpected prospects – the red coat reveals the distinction between cultures, generations, and landscapes in Boston during the 1940s and 50s, a time of change, challenge, and opportunity. Meet the proud, working-class Irish and staid, upper-class Brahmins through the contrasting lives of these two families and their friends and neighbors. See how the Parkers and the Kings each overcome sudden tragedy with resolve and triumph. And witness the profound impact of a mother’s heart on her children’s souls. Carlson brings us front and center with her knowing weave of Celtic passion – both tragic and joyful – words of wisdom, romance, humor, and historical events. Dive into Boston feet first! The Red Coat is a rich novel that chronicles the legacy of Boston from both sides of the city, Southie and the Hill. This is probably not a book I would choose to read, but it was a book club pick and I must say we had a lot of fun with it. The hostess asked everyone to come dressed like one of the characters and wearing something red. It is an easy read and there is nothing to dislike about the book. It is set in South Boston during the 1940’s and 50’s, and portrays the everyday life of an Irish Catholic family. It is a study in the differing lives of the Beacon Hill and South Boston families. I am certain anyone from this area will relish the lovely memories shared in this book. It is the wit and wisdom of that Southern Mama Crosby brings to her works of fiction; the result is a delightful blend of humor, mystery and romance along with a cast of quirky charters who will steal your heart away. Her work was first recognized in 2006 when she received The National League of American Pen Women Award for a then unpublished manuscript. She has since gone on to win nineteen awards for her work; these include: The Royal Palm Literary Award, the FPA President’s Book Award Gold Medal, Reader’s Favorite Award Gold Medal, and the Reviewer’s Choice Award.